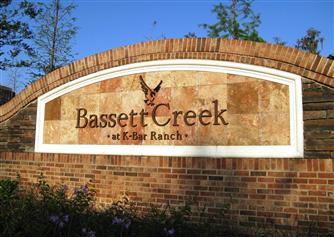 Bassett Creek at K-Bar Ranch is one of New Tampa’s newest master planned communities. It offers homeowners the peace and beauty of secluded natural surroundings within easy access of thriving shopping and dining areas, including Wiregrass Mall in New Tampa, Wesley Chapel and Tampa Bay via I-75. Families with children will also love the advantage of top-ranked New Tampa schools, such as Heritage Elementary, Benito Middle and Wharton High. Bassett Creek also has all the amenities you could want, including pools, playgrounds, basketball courts and more. The community, located off Kinnan Street and Cross Creek Boulevard, provides a variety of luxurious traditional and modern homes, ranging from four to seven bedrooms, with spacious lots. All homes are at least 2,770 square feet and prices start in the mid-$300’s. Plus, you don’t have to worry about future development encroaching on on the serene and tranquil environment, as nearby natural areas have been preserved to prevent overdevelopment. If you would like to discover all that Bassett Creek has to offer, call us today at 813-431-2840. We are here to help you find a home that perfectly meets your needs. We’ve sold over 4800 homes in the Tampa Bay Area, and our experience, commitment, desire to exceed expectations, and best-in-class customer service guarantees your success!